M.A.R. Reporting Group: Court Reporters for the Northern Virginia Legal Community. Established in 1994 by Mario A. Rodriguez, M.A.R. Reporting Group, LLC, is a Northern Virginia-based court reporting and legal support agency with seven offices in the DC metro region and offices worldwide. M.A.R. Reporting Group, LLC, is a Northern Virginia-based court reporting and legal support agency with seven offices in the DC metro region and more than 60 offices worldwide. Established in 1994 by Mario A. Rodriguez, himself a court reporter of more than 20 years, M.A.R. Reporting Group grew from a one-person court reporting agency to 28 full-time employees. M.A.R. was founded on the premise of providing high-quality service, support, and convenience critical to client satisfaction. In June of 2015, Planet Depos a global court reporting company providing best-in-class court reporting, interpretation and trial support services, acquired M.A.R. Reporting Group. Planet Depos, LLC, the only international court reporting agency led by court reporters and world-renowned industry experts, provides court reporting, videography, videoconferencing, interpretation, and trial support services throughout the United States and abroad to international law firms, worldwide corporations, and government entities. The Company has extensive experience reporting complex matters around the globe, including arbitrations, trials and depositions. Planet Depos is headquartered in Washington, DC with offices worldwide. A forward-thinking company, Planet Depos is conversant with the latest technologies and works closely with clients to implement case-winning tools, including streaming text and video, realtime to iPads, mobile videoconferencing, and digital deposition exhibits. 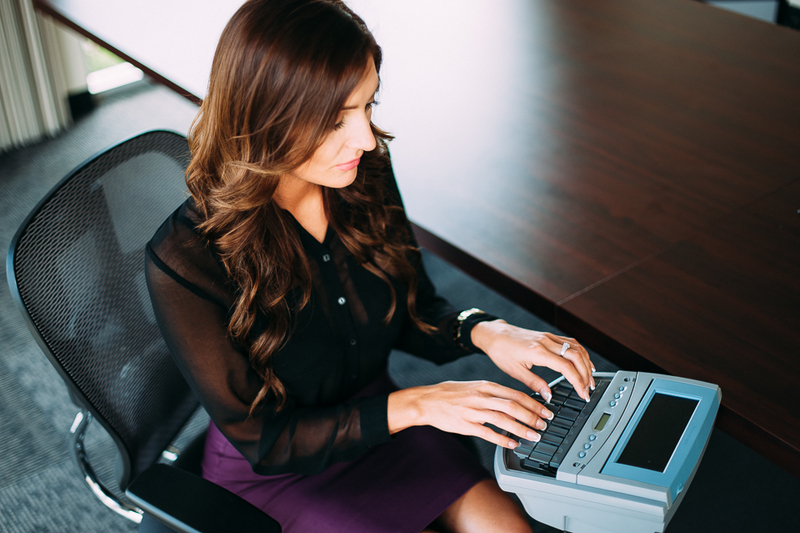 Legal Stenographer – A stenographer uses a stenotype machine to transcribe spoken dialogue into written form using shorthand, a method of abbreviated script. Realtime Court Reporter – A real-time court reporter allows attorneys to view testimony as it’s being spoken. A realtime reporter must be highly skilled and experienced in the field, as they produce readable transcripts for clients as the actual proceeding is taking place. Why Use a Court Reporter from M.A.R. Reporting Group? Simply put, we know court reporting! Lisa DiMonte, our Chief Executive Officer, is a Registered Merit Reporter and Certified Manager of Reporting Services. Jodi Harmon, Director of Court Reporting – Asia, is a Registered Merit Reporter and Certified Realtime Reporter. Kathy DiLorenzo, Director of Court Reporting – U.S., is a Registered Diplomate Reporter, a Certified Realtime Reporter, a Certified Broadcast Captioner, a Fellow of the Academy of Professional Reporters, and Past President of the National Court Reporters Association.